Pioneers in the industry, we offer reinforcing steel bars from India. Reinforcement Steel Bars are manufactured for the first time in Tamilnadu with Technical Collaboration with Hennigsdorfer Stahl Engineering GmbH Germany, who has supplied their THERMEX cooling Technology in over 100 steel plants all over the world including SAIL. 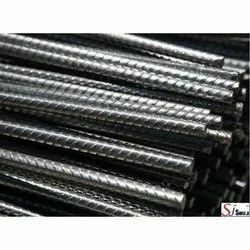 Looking for Steel Reinforced Bars ?